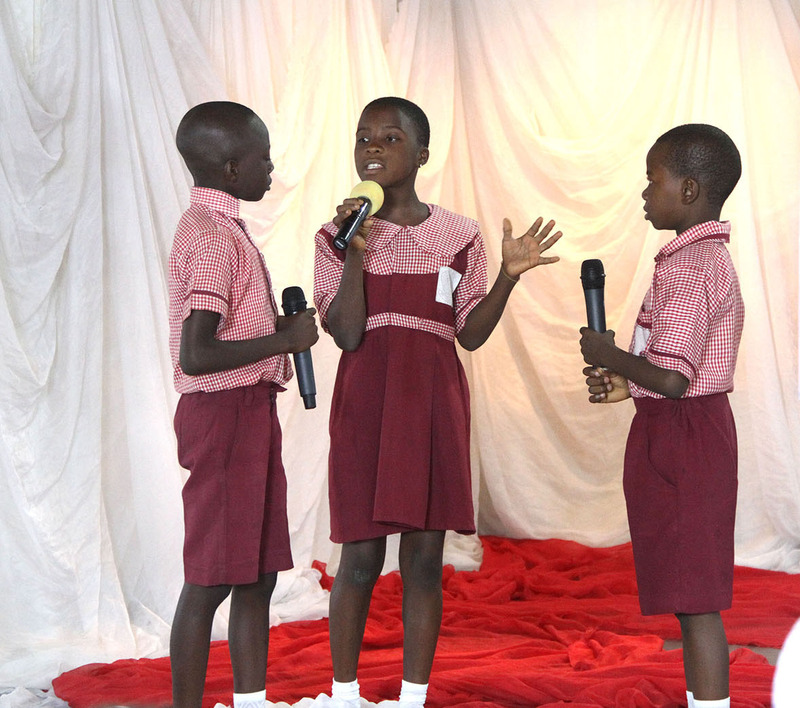 A unique, video-based learning initiative, launched by Discovery Learning Alliance (DLA) and sponsored by energy company Chevron Nigeria Limited, has benefitted over 13,000 students and nearly 800 teachers across 10 primary schools in Delta State, Nigeria. Launched in 2013, the Delta State Learning Center Initiative was designed to improve the standard of education in the state using video lessons and equipment in the hands of trained teachers. 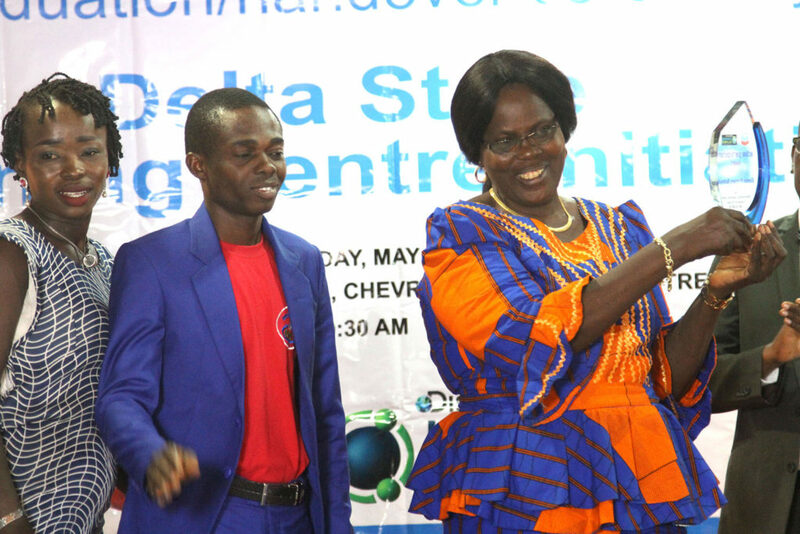 On May 23, 2018, the project was officially handed over to the local school communities by Chevron Nigeria Limited and DLA at a graduation ceremony attended by students, teachers, school and community leaders, and DLA and Chevron officials. Speaking at the ceremony, Chevron Nigeria Limited’s General Manager for Policy, Government and Public Affairs, Mr. Esimaje Brikinn said the project was part of the company’s social investment initiatives. “This is another demonstration of Chevron’s commitment to investing in strategic partnerships and programs that improve the socioeconomic situation of communities in the areas and countries where we operate. We appreciate the state government, DLA, and other stakeholders for making the five years of hard work gratifying and a success,” Brikinn added. The learning centers that formed the initiative are a part of DLA’s educational model, which uses the power of media and technology, alongside community mobilization and sustained investment in teacher professional development, to transform learning in marginalized communities. DLA’s model has been tested with strong results in 16 countries and thousands of school communities across the world. Each learning center includes a video library -- one for teachers to preview content and plan lessons and another for classroom, along with video and generator equipment. The video lessons have been shown to improve student learning and motivation. Following the handover, the learning centers will remain with the school communities, whose representatives have been trained to take the lead on implementation and sustain and extend the project’s impact for years to come. Chevron Nigeria’s Senior Government Affairs Advisor PDPA, Mr. Happy Appai, shared that at the end of the five-year partnership, his organization’s goals had been accomplished. Appai said that a report from an external evaluator “showed significant improvement in performance in state-administered school leaving examination, the effectiveness of teachers in the classroom and students’ participation and performance.” He added that students’ attendance, parental and community participation in school activities, impact on communities as well as awareness and access to information on health and environment issues had also improved tremendously. DLA’s Project Director, Dr. Felicia Moh said at the ceremony, “The little seed sowed by this project has begun to yield sweet fruits and people are benefitting from it.” She lauded Chevron for its sponsorship of the project and shared that DLA has supported over 650 learning centers in Nigeria to date. The ceremony concluded with awarding of plaques and certificates to the school staff who participated in the initiative, and an entertaining talent show performed by students of the project schools. Check out photos from the ceremony below! 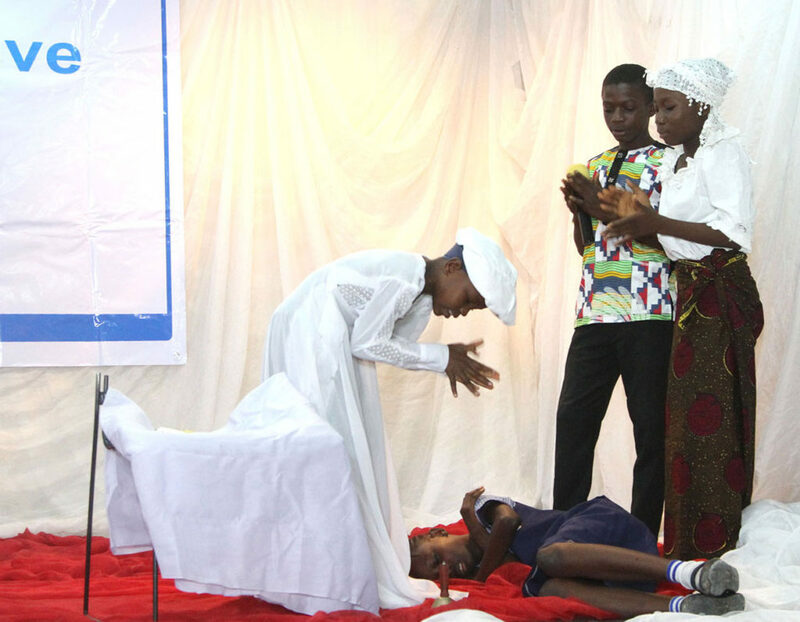 Students perform a scene in their play "Our enemy Our Neighbor" during the DLA-Chevron project handover ceremony on May 23, 2018. 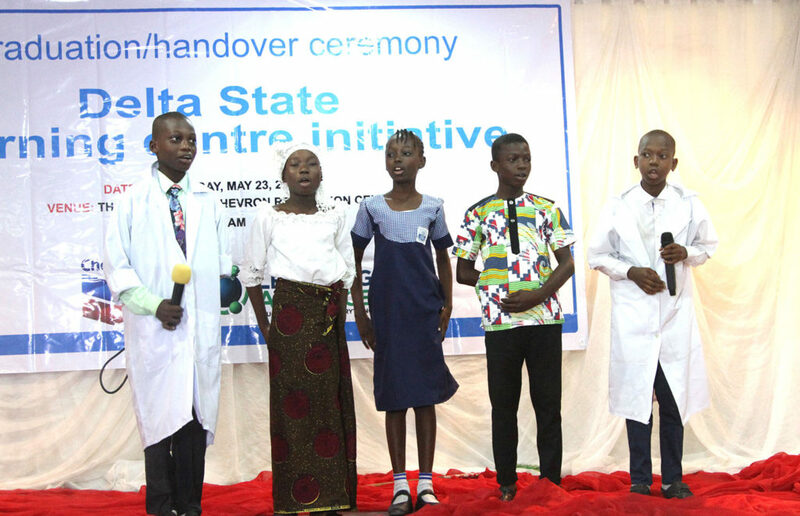 The student cast of the play "Our enemy Our Neighbor" performed at a talent show held during the DLA-Chevron project handover ceremony on May 23, 2018. A group of school teachers receive awards for participation in the DLA-Chevron project on May 23, 2018. A head teacher at one of the participating primary schools poses with her colleagues after receiving a plaque at the DLA-Chevron project handover ceremony on May 23, 2018.